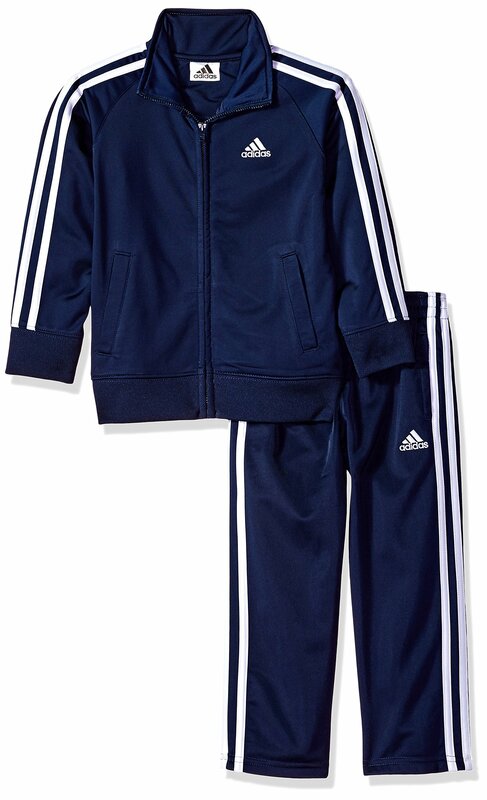 The tricot jogger set options jacket with massive Adidas badge of game on chest. Implemented stripes on sleeves over anchor colour sleeve piecing. 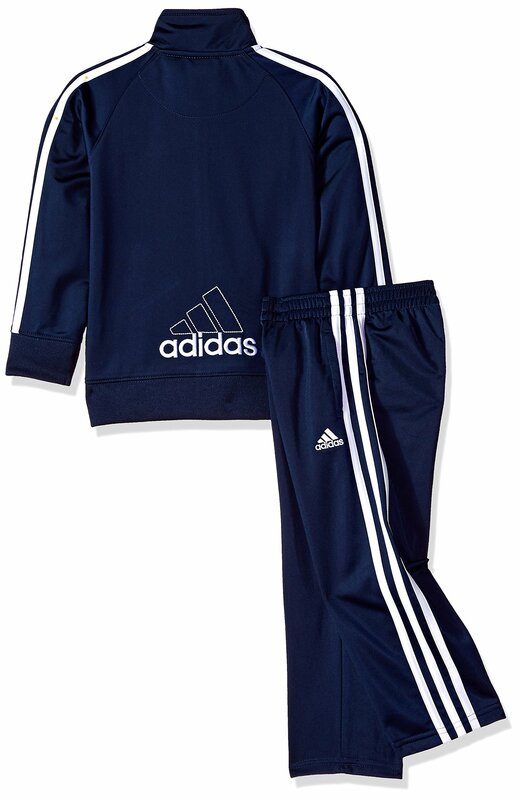 Implemented stripes with embroidered Adidas emblem mark on very important tricot pant.